Unquestionably master violin maker David Folland is at the forefront of the world's makers and restorers. My 1760 Balestrieri cello was expertly restored to a superb condition both cosmetically and tonally and now possesses a bold richness, power and playability which I am experiencing for the very first time. A thousand bravos to a remarkable artist and craftsman! 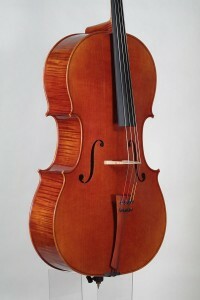 "By far the best modern cello I have ever played." 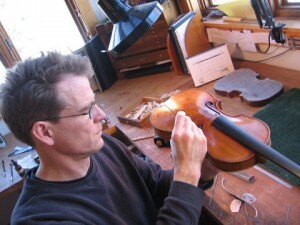 David Folland is a leading member of a particularly talented generation of American violinmakers. "As a violist, I believe tone production and sound projection to be two of the most important qualities of an instrument. 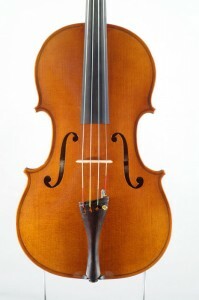 Folland violas have a warm and rich sound, with a clarity that reaches to the back of a hall." "I have tried many Folland violins over the years and have twice ordered violins with very specific, nuanced differences. I had complete confidence that the instruments, when completed, would have all of the qualities I wanted. They have proven themselves daily, in orchestral, chamber and solo performance, to be all that I had wished for and more." In addition to the violins, violas, and cellos that I make myself, I always have an apprentice or two making instruments that sell in a lower price range than my instruments. These apprentice instruments are constructed using my wood, patterns, measurements, varnish, etc, under my direct and close supervision. They are fantastic values. 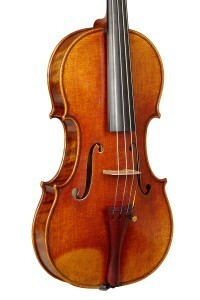 I also carry a line of the best student violins, violas, and cellos available, most of which are made in eastern Europe or Germany, and are set-up and adjusted in my studio.